Need to learn more about global social injustice? Come and meet VC at our Information & Recruitment Sessions! Learn more about our current vacancies overseas as well as our part-time overseas development training programme Venture 2016 (one weekend per month over 4 months at VC HQ) which is aimed at prospective Development Workers and Volunteers and offers an experience that will give the volunteer or development worker the confidence that he/she is fully prepared to work overseas. 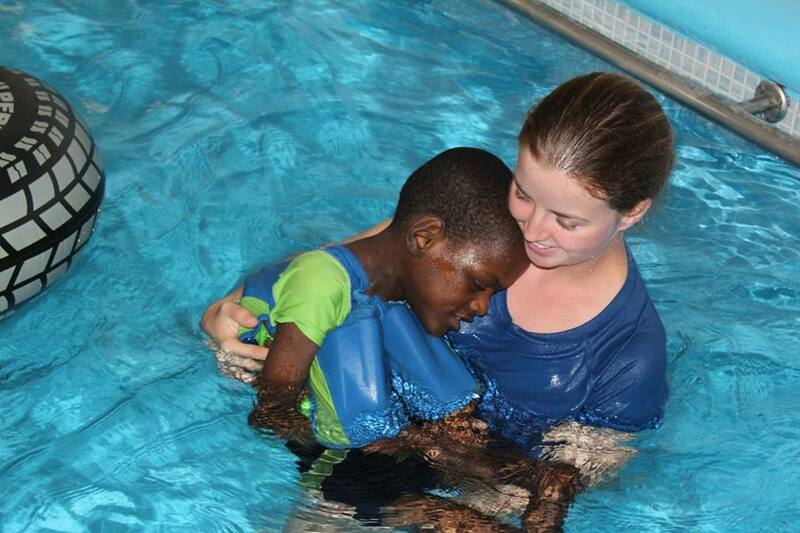 Pictured – VC Volunteer Sarah McEvoy, a physiotherapist, with a young client in the hydro pool at NPH’s Casa Santa Ana home in the Dominican Republic.